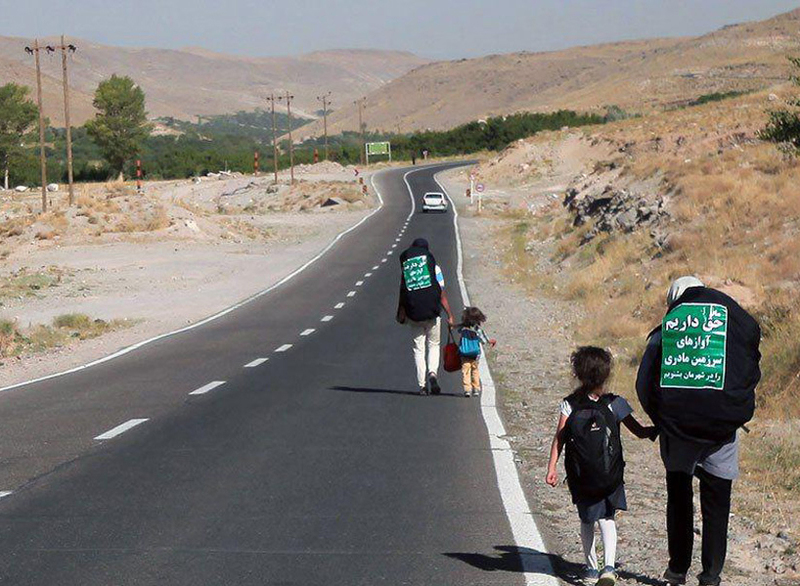 Members of an Iranian family from the northeastern city of Mashhad have embarked on a 60-day march to show their protest against a local ban on holding concerts in the holy city. 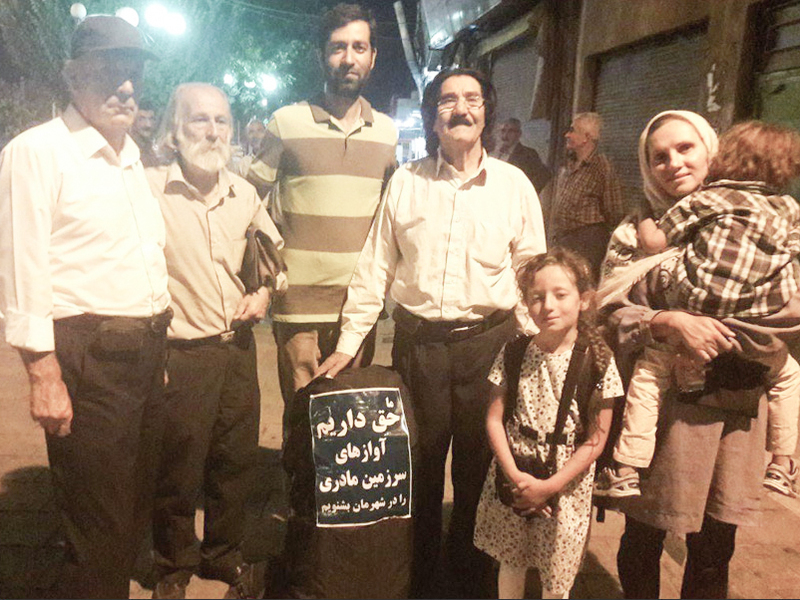 What follows is the story of a family from the holy city of Mashhad who is protesting the cancellation of concerts there. The story of this family is like the two sides of a coin: On one side, there exist limitations and a standstill, and on the other there is a safe and open road to show protest against the closeness of another road! Iran is the land of wonders; while concerts are banned in certain parts of the country and families are deprived of enjoying live music there, people are at the same time allowed to hit the roads to protest. The concert ban happens not only to the foreign-style music, but sometimes even the traditional concerts would be called off in Khorasan Razavi province. A small family with no defensive or protective facilities, with no team escorting them, go through roads that sometimes are creepy, because of the reclusion and vastness of the deserts surrounding it. One can look just at the procedure that has been considered as the violation of citizens’ rights, or just see the beauty of enjoying the right to protest next to a unique feeling of security that could not be easily found even at the heart of Europe and the United States. It is also possible to see the two sides of the coin from two angles. One can see this conflict and enjoy this disparity, which is the biggest and most significant sign of “dynamic social life”. Therefore, this 60-day march is not just a manifestation of a family protest; rather, it proves that a nation is on the path to maturity. 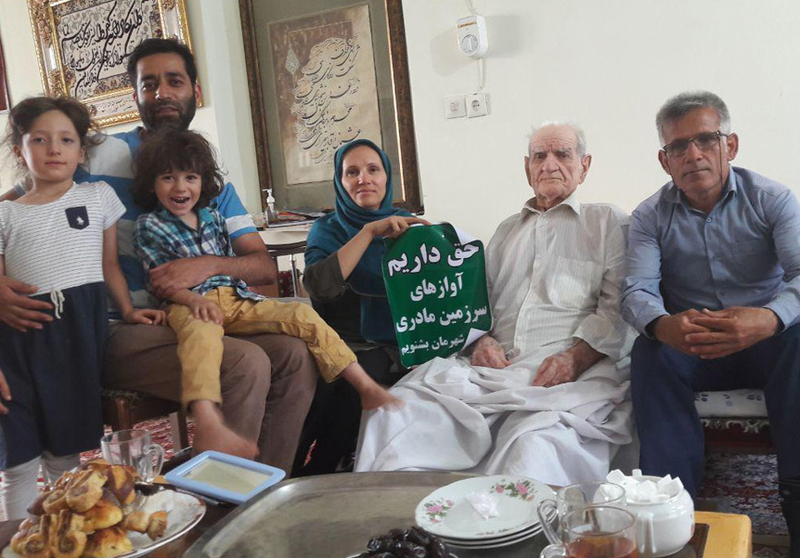 According to a Farsi report by ILNA, the father of this Mashhadi family, Ahmad Mehrchian, along with his family started the march 35 days ago to protest the cancellation of concerts in Khorasan Razavi province. He says they are a family from Mashhad who is opposed to the ban on concerts. “This march is performed on foot using a backpacker. In this type of travel, people put their needed stuff in a backpack and travel on foot; sometimes they ride a truck or trailer, but they never use buses, minivans and cars,” he added. “We are now in Kordestan Province in Western Iran and right now we are heading towards Sanandaj city. 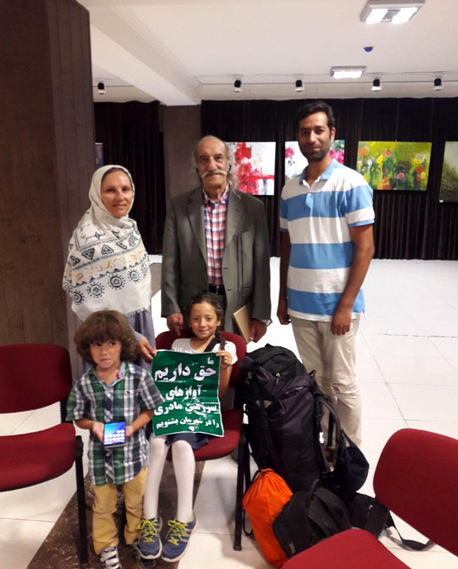 I and my wife, Zohreh Barati who is a physician, along with our 4-year-old son, Sirous, and our six-year-old daughter, Baran, are backpacking,” Mehrchian went on to say. “After that we went to Tabriz to visit Professor Gharabaghi. We also met with Alireza Qorbani (famous Iranian singer) in Tabriz and Salar Aqili (another renowned singer) in Isfahan,” Mehrchian pointed out. Mehrchian said that after Kordestan, they will move towards Hamadan in the west. 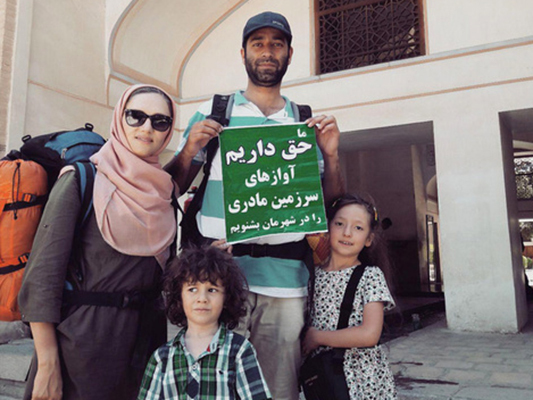 This Mashhadi family has begun its journey in Imam Reza’s (AS) shrine and says that many people in Mashhad, like them, believe in religious rituals as well as in the musical culture of their country; however, their wishes are not respected appropriately as the City’s officials don’t allow concerts to be held in the holy city.